Today I made it to Wadleigh Lean-to and installed the memorial plaque. I told myself that I would not complain about my feet, knees, and ribs on my Southbound hike… well. ….I had fallen again on the left side ribs, but it still affected the right side… Very painful. My feet and knees are worse than before. I was sitting on a gravel road and a park Ranger was driving by and asked if I was ok. When he saw me try to walk be suggested the hike was over… I’m done. It’s not a failure in any way. I accomplished so much more than I didn’t. It was an awesome moment in my life. It’s just time to go home and heal.You only fail if you never get off the couch and try!!! Congrats on the hike… I’ve enjoyed following it. Get well.. be well. Chris this makes me want to cry – I am so proud of you!! Tank…you gave your all and then some more. You’ve accomplished more than most on this incredible journey and I have a feeling it’s not over yet. All of us who had the privilege to follow you are awed by your determination. We’re all thankful for that Park Ranger as well. 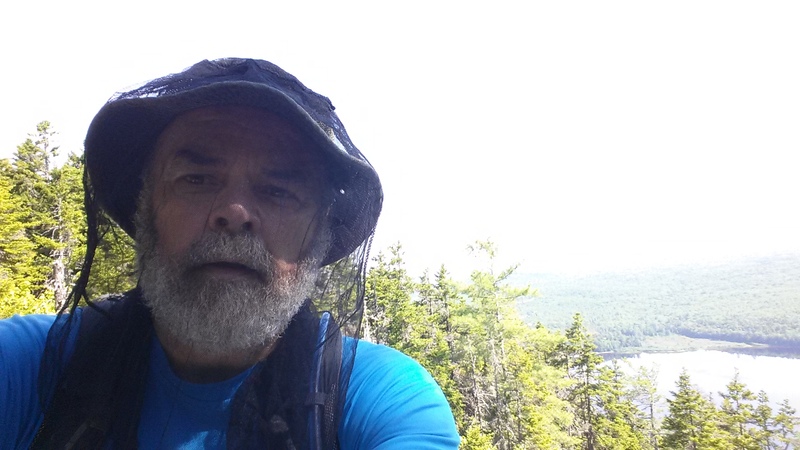 Remarkable to come across anyone in the 100 Mile Wilderness much less someone who helped you as he did. As that quote from Dr. Seuss goes…”Don’t cry because it’s over, smile because it happened”. 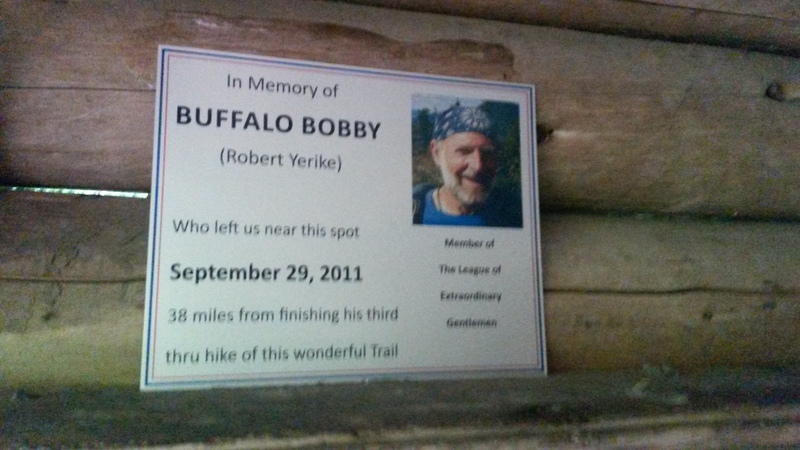 Thank you so much for installing Buffalo Bobby’s plaque. It means a lot to all those who knew and loved him as well as those who come after him. Congrats on your journey and raising money for a worthy cause. We all have enjoyed your post here. Well done. Get healed up, See you soon. Congrats dude…very proud of you here! See you soon my friend…. What an accomplishment! Following your hike has been inspiring. Glad you’re coming home safe. Chris, outstanding, your accomplishment is something you can be proud of. All of us here at IOC wish you a speedy recovery and good heath. A great friend…Praise God for your safety…… I look forward to seeing you back on campus.. Your walk for Autism is to be praised. Thank you on behalf of my family. Beth and Bernies Honey bun cafe. You are awesome! Heal well and enjoy every magical adventure in your future. It was great being able to tag along. Thanks for the beautiful journey. Tank,..you done good sir !!! now heal up and enjoy. I have no doubts that someday down the road, you will hike through my neck of the trail,..when that day comes, I will be there to say hello. Tank still very proud of you! You gave it all one could ask! I have a feeling you will be back on the trail again. I believe it because you want this so badly! Take care and heal slowly! You are in my prayers! Awesome Job! It has been great following your posts. Sorry it didn’t work out as you had planned but you have accomplished so much. Take care. I really enjoyed following your hike. Thanks for taking us along. Congrats on your journey Chris. It was fun following you along the way. You’ve inspired many, and helped many more. Well done! Relax now and heal up!